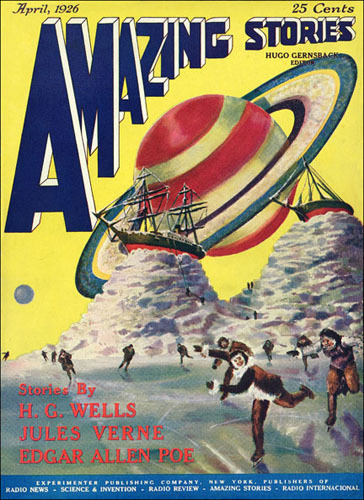 Amazing Stories - April 1926 - 1st Issue - Downloadable PDF file. This is a downloadable PDF file of Amazing Stories April 1926 - the first science fiction magazine created by Hugo Gernsback. Every page from cover to cover is included in it's original printed form. A great item for scifi research and the collector who hates to handle his valuable original magazines. Note: The Shopping Cart program incorrectly charges a flat shipping charge for these downloadable items. I will refund any shipping charges ASAP for downloadable PDF's.